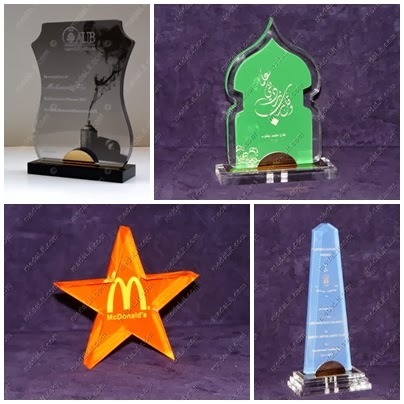 The Absi Acrylic Figures Trophies are made from 10mm acrylic sheets. 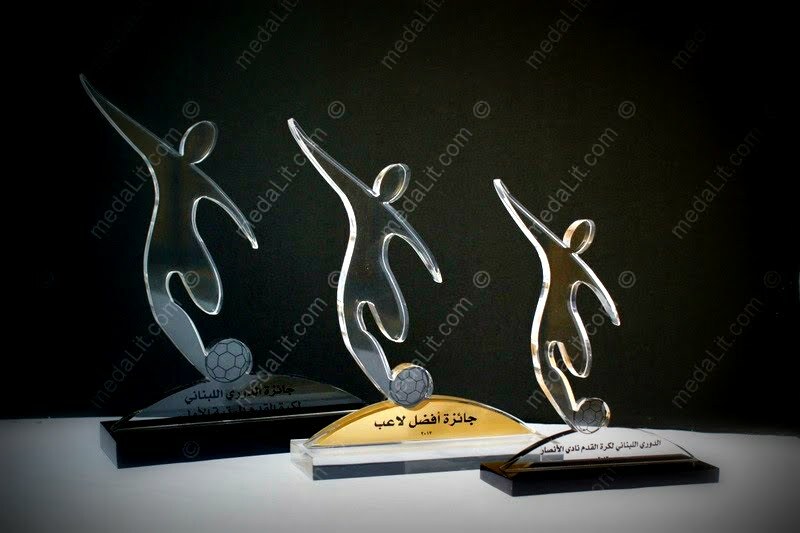 Distinguished by their contemporary design. In addition to the standard crystal clear on top of piano black base, a wide selection of colors are available. The series height to length ratio is approximately 1.3 to 1. Acrylic sheets thickness is 10mm for all sizes A, B and C.
Available in 3 sizes A, B and C (See table below).